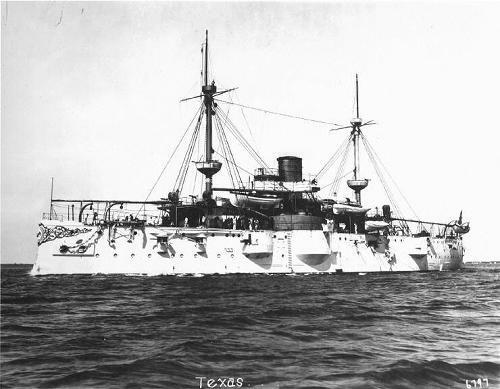 The First Battleship Texas, 1895-1911. �The Texas was early-on considered something of an ugly duckling in the Navy, often characterized as a clumsy �hoodoo�, or jinxed ship. 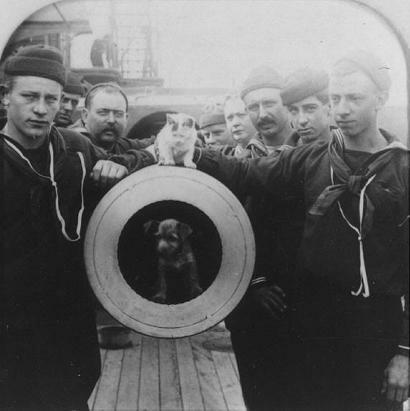 Her service in the Spanish American War proved her to be a late bloomer, an odd-looking ship that met the challenges of combat and served her nation well as a critical step in the development of the New Navy. Perhaps being seen as the least valuable battleship in the Navy and therefore the most expendable, the Texas found herself in the enviable position of seeing more action than any other capital vessel in the US Fleet. The Texas shone in every engagement in which she was committed. She took part in the search for the Spanish fleet. She also participated in the first significant independent Marine Corps action in history when she provided critical support in their capture of Guantanamo Bay. She then provided support to the Army in the invasion of Cuba and the subsequent investiture of Santiago, engaging a number of Spanish forts in the process. Off Santiago, she took the first hit by an enemy gun and the first combat death for the Navy, being struck by enemy shells in two different actions. At the Naval Battle of Santiago she steamed aggressively forward into the thick of battle and directly engaged six warships of the Spanish fleet."